Grass Valley Indigo AV - a high definition video console with mix capablility of video and computer DVI inputs. 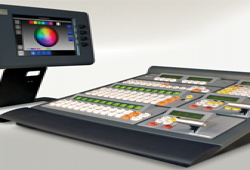 Our offer of mixers includes event and broadcast video mixing consoles in SD and HD formats. 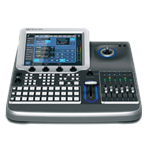 Video/audio mixing console with SDI/DVI video inputs and AES/EBU audio inputs. 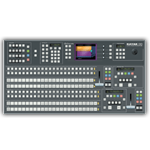 32-channel video mixing console/switcher, 10-bit, 4:2:2 subsampling. Analogue video mixing console with 4 composite/s-video/component inputs. 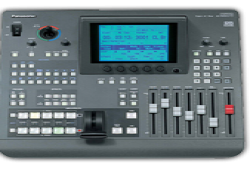 Analogue video mixing console with 4 composite/s-video inputs. 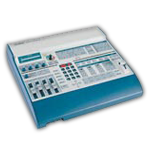 Component video mixing/switching system based on Data Video SE-800 console. 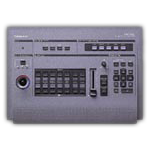 Composite video mixing/switching system based on Panasonic WJ-AVE55 console.